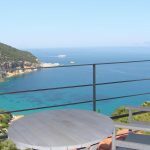 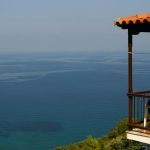 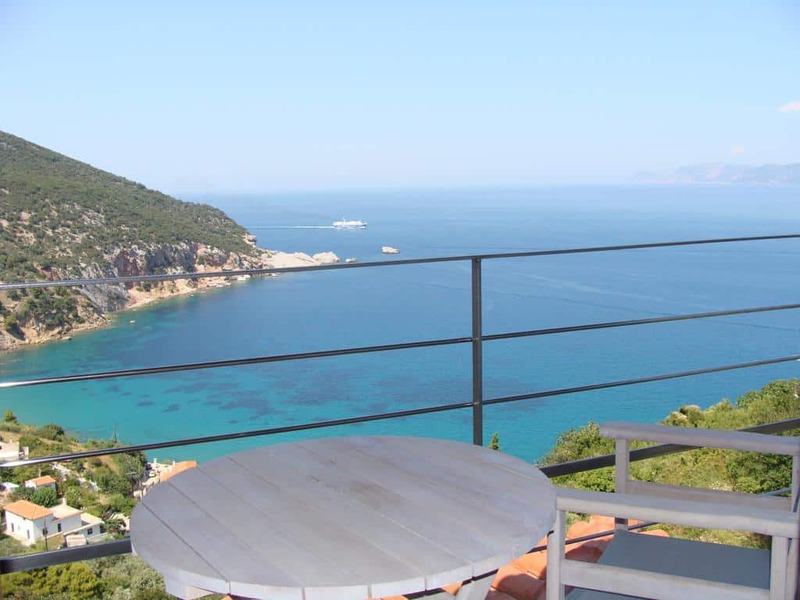 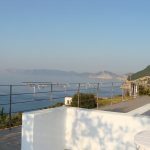 Perched on a green hill, in Agios Konstantinos of Skopelos, Sea View Studios offers self-catering units with free Wi-Fi and unobstructed views over the Aegean Sea. 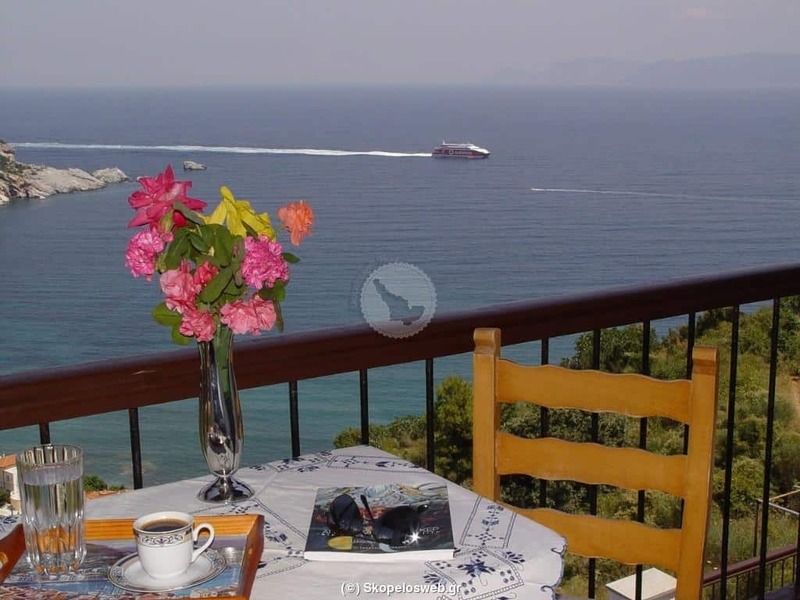 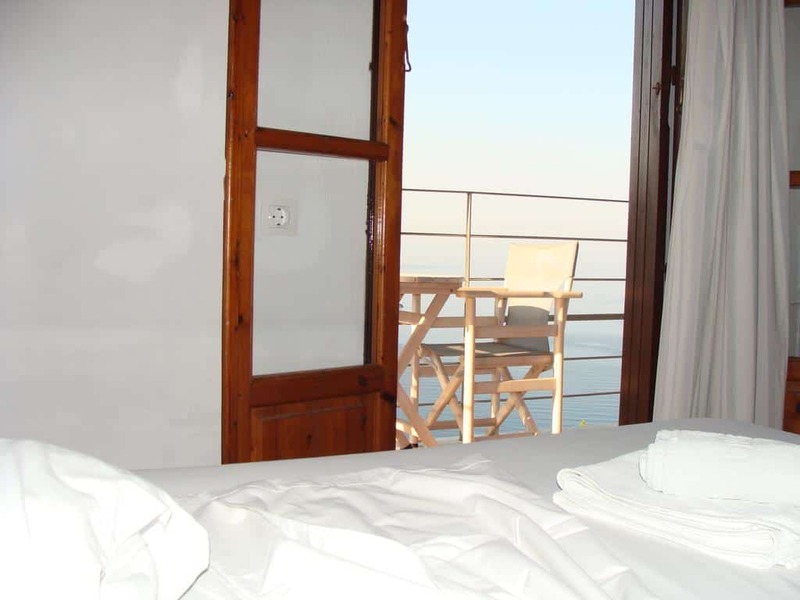 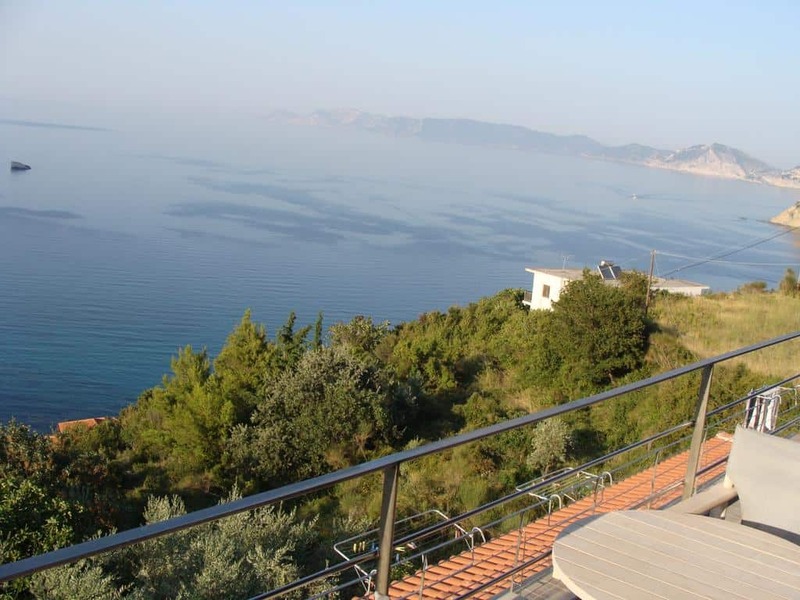 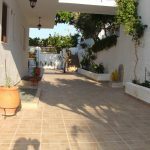 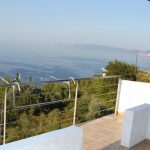 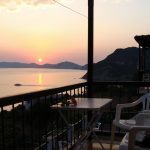 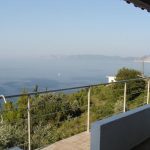 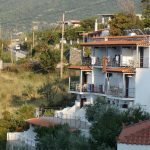 The Studios Sea View are in Agios Konstantinos on Skopelos island. 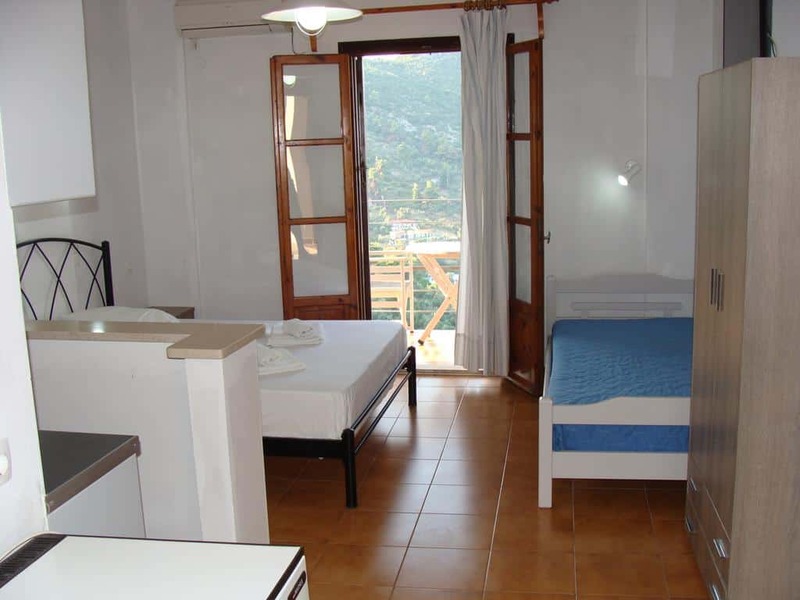 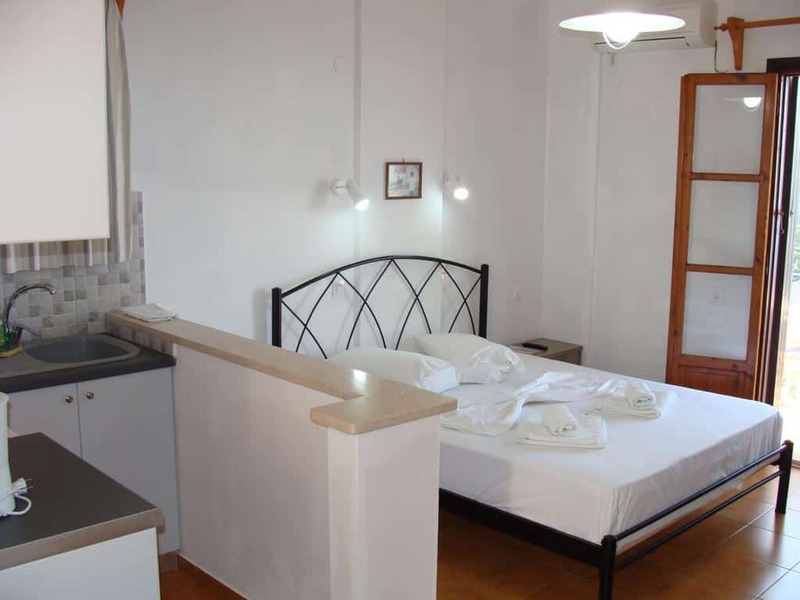 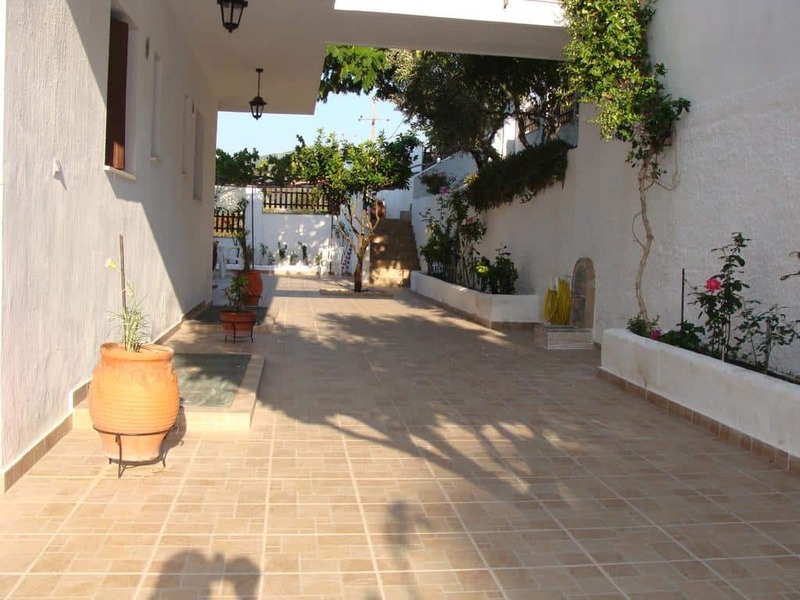 The accommodation is a 10 minutes’ walk away from the beach. 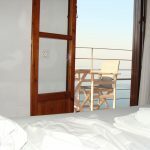 The distance is just a kilometer. 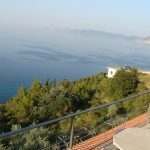 Furthermore, surrounded by a lush hill in Agios Konstantinos this property offers self-catered accommodation with uninterrupted views of the Aegean Sea. 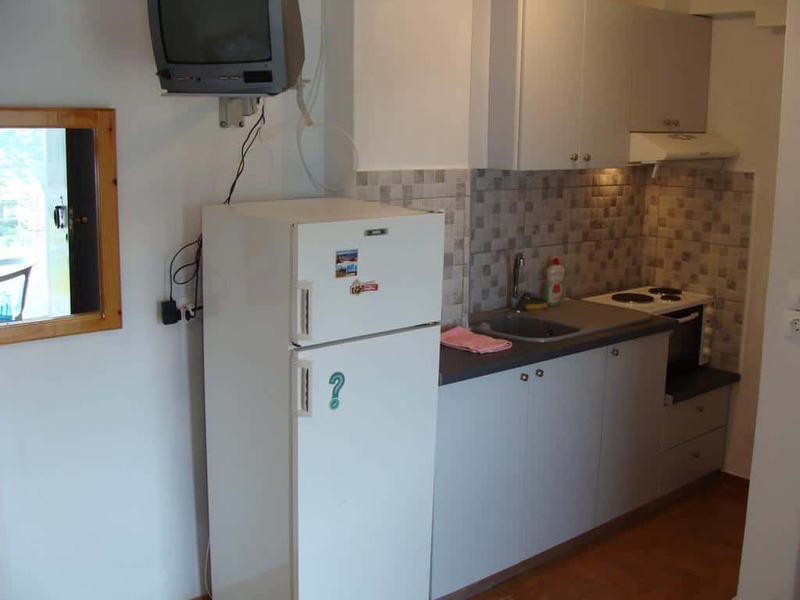 Free WiFi is also available on site. 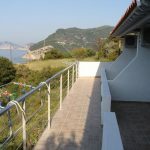 Moreover, all units, in Sea View studios, include a balcony or a patio. 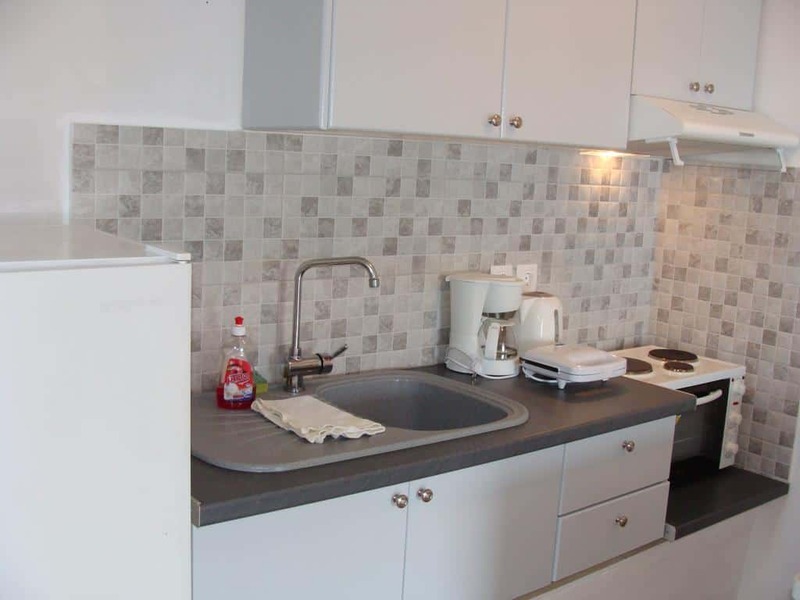 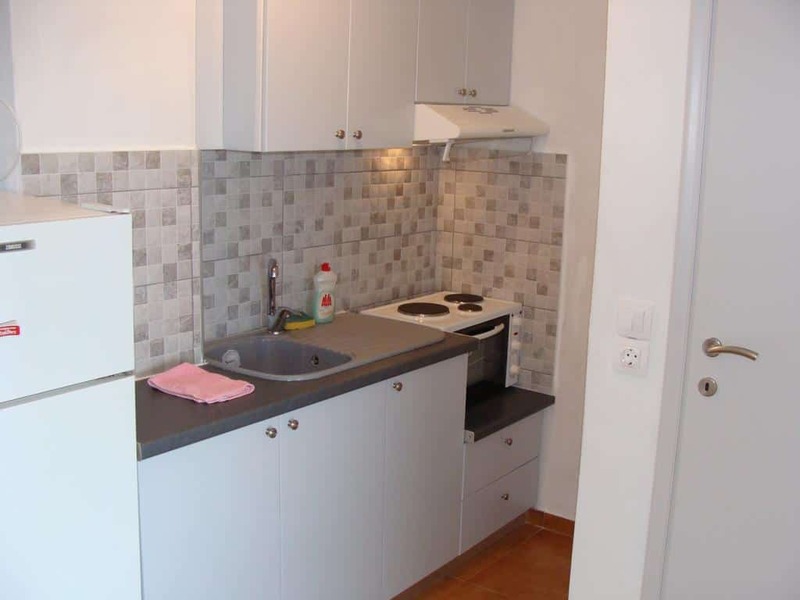 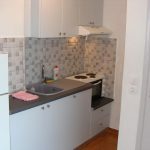 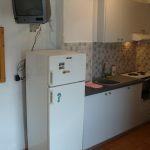 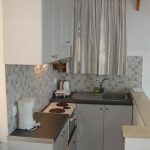 All studios have also a fully equipped kitchenette with fridge and cooking hobs. 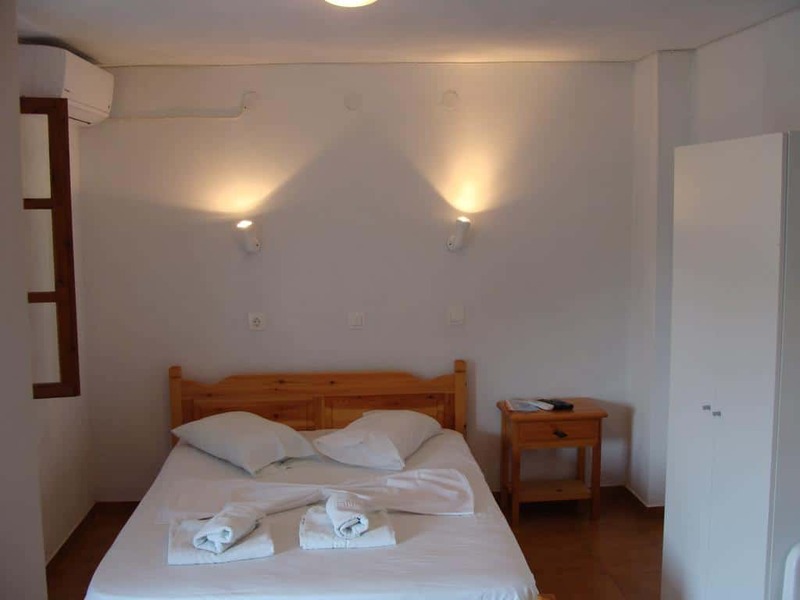 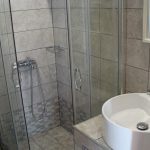 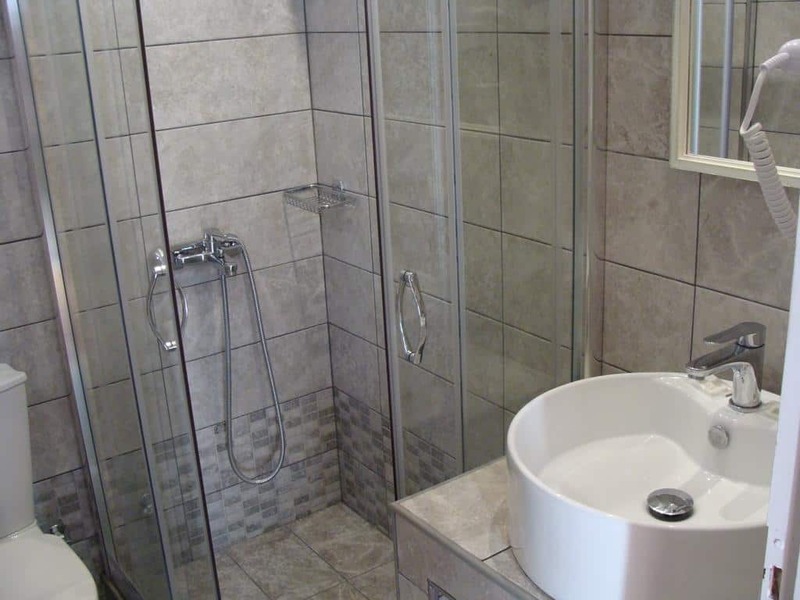 Each studio or apartment has air conditioning, a TV and a private bathroom with a shower. 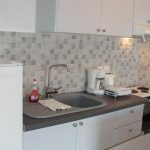 Additionally, free public parking is provided on site. 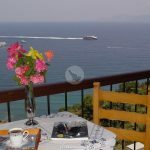 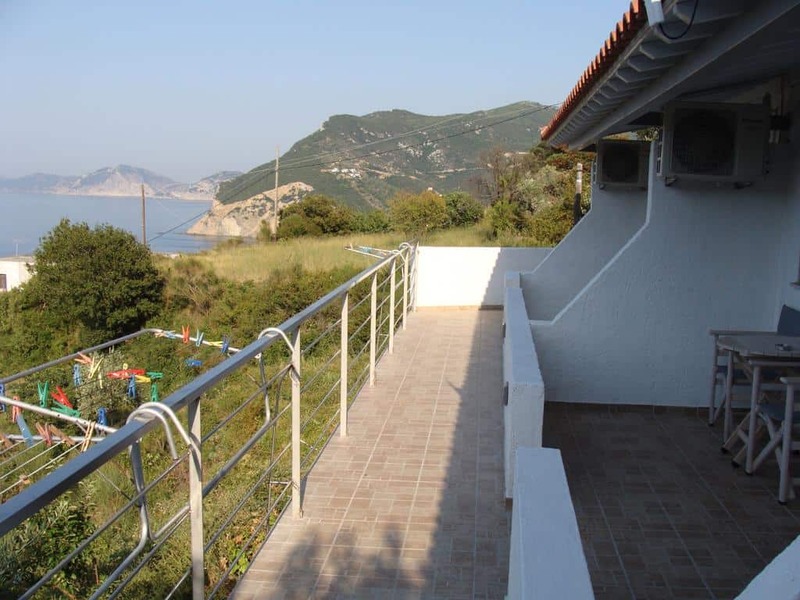 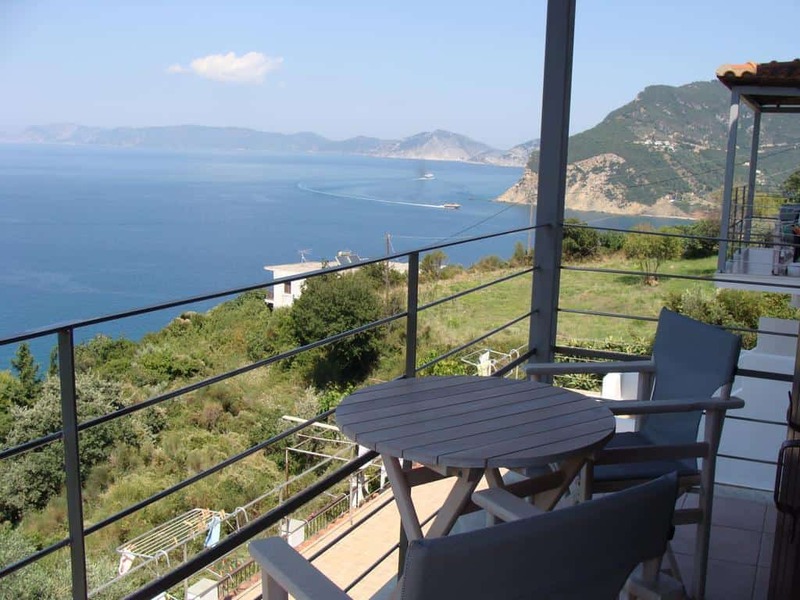 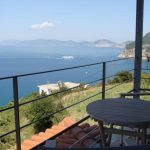 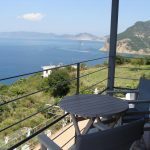 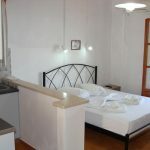 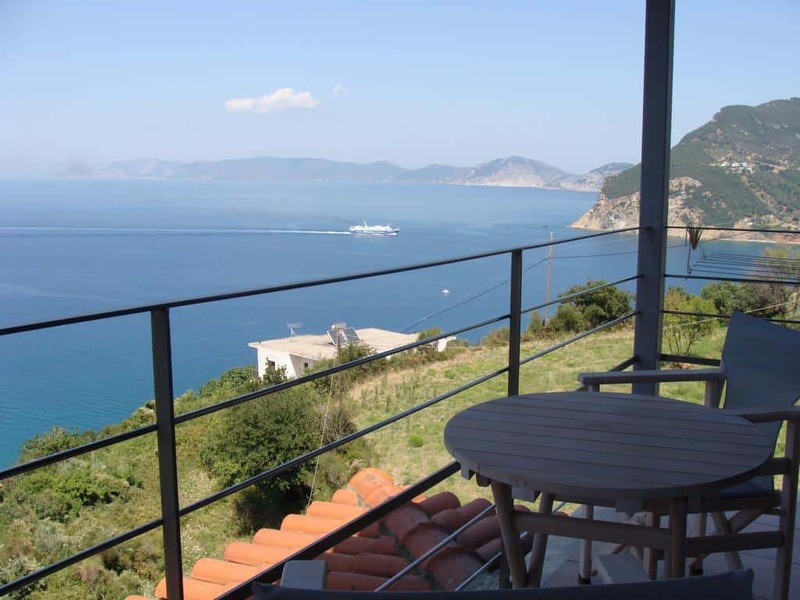 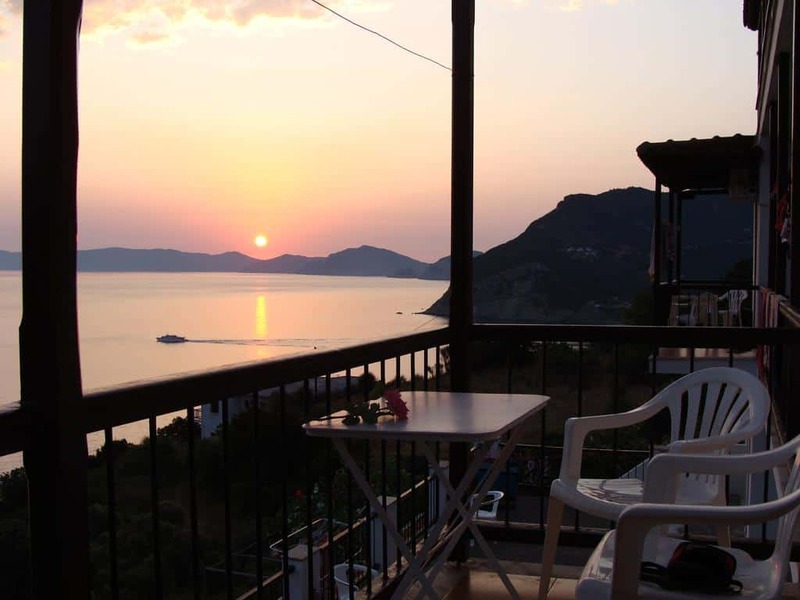 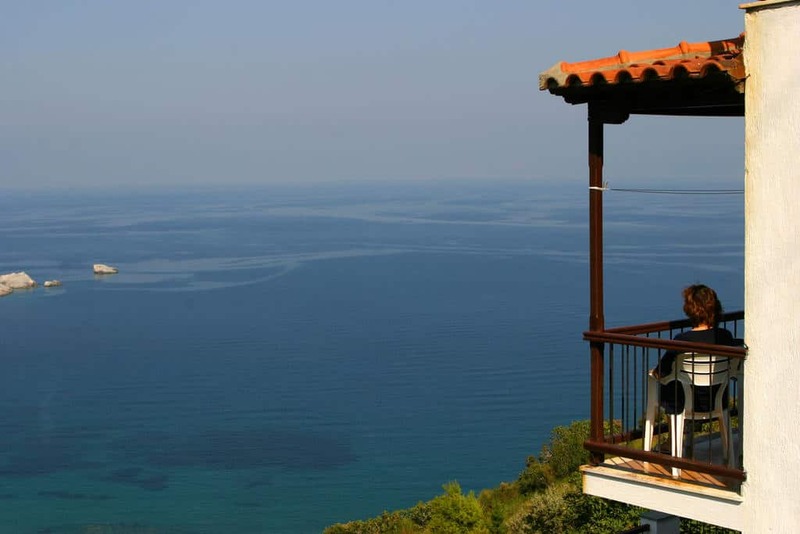 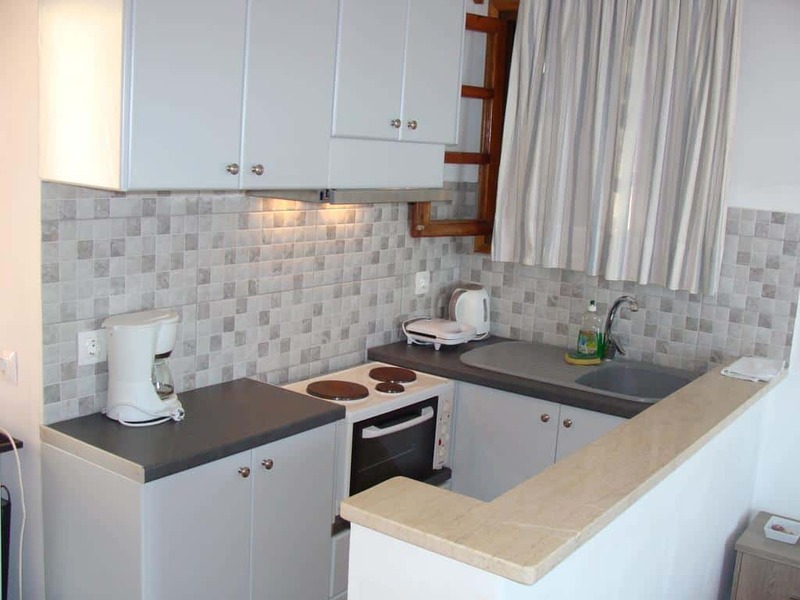 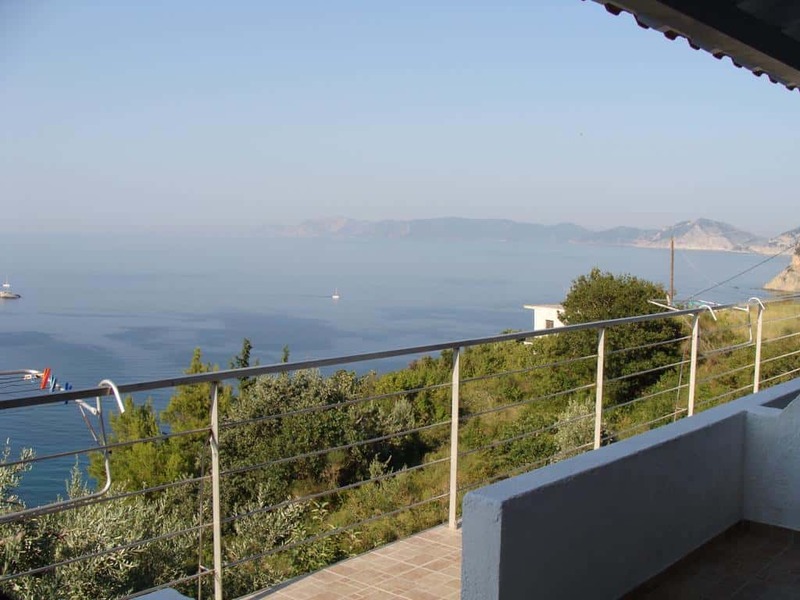 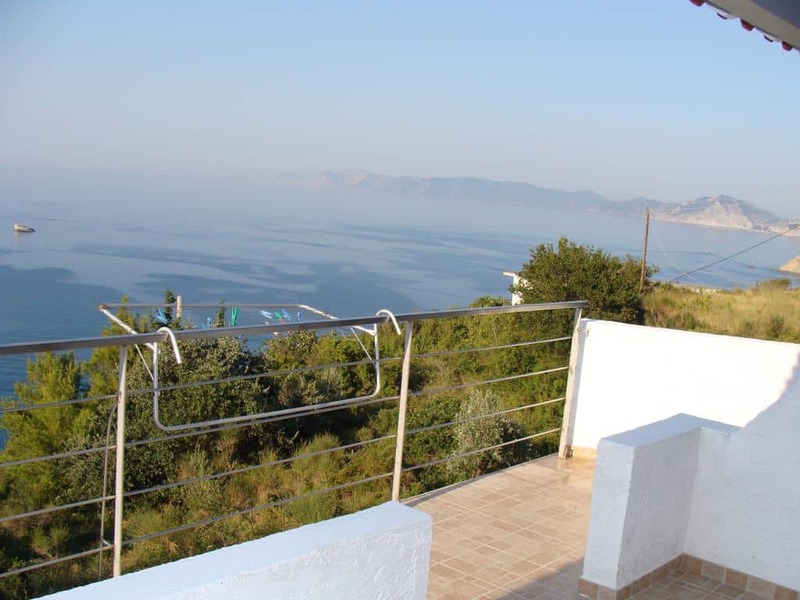 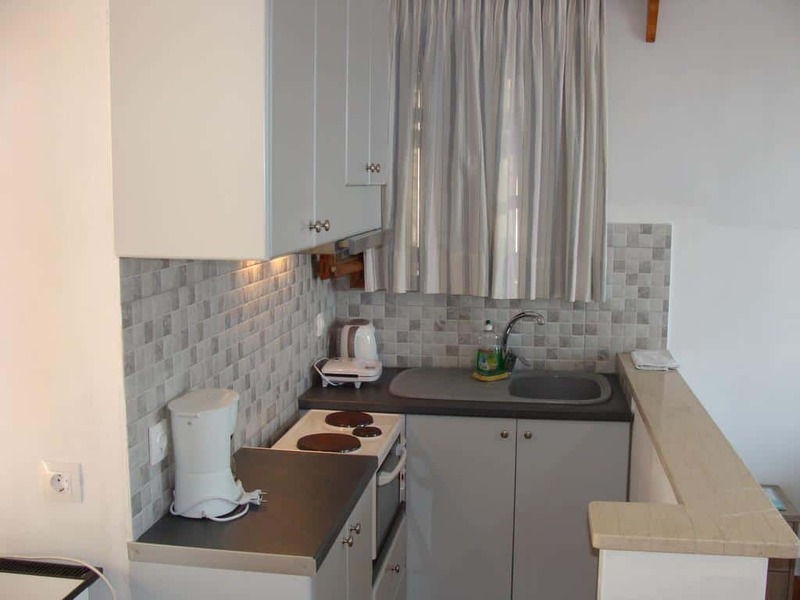 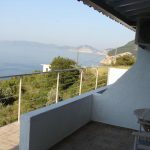 The Sea View Studio is just 1 km away from Chora and Skopelos port. 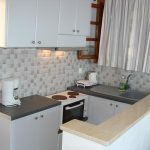 There you will find seasonal shops, shops with jewelries, bakeries and supermarkets. 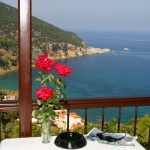 Moreover, there are several traditional tavernas and restaurants as well as cafes and bars. 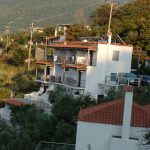 Skopelos island has long history and traditions. 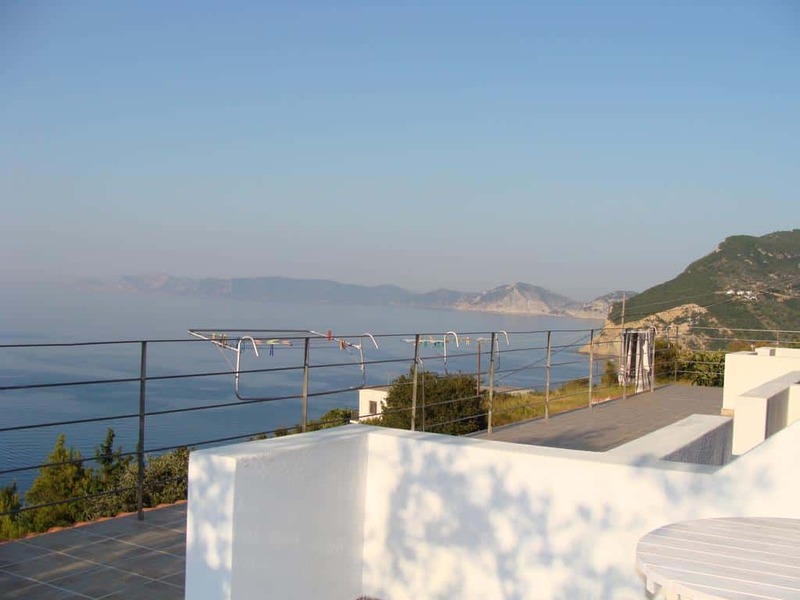 There are several archaeological sites and a variety of museums to visit. 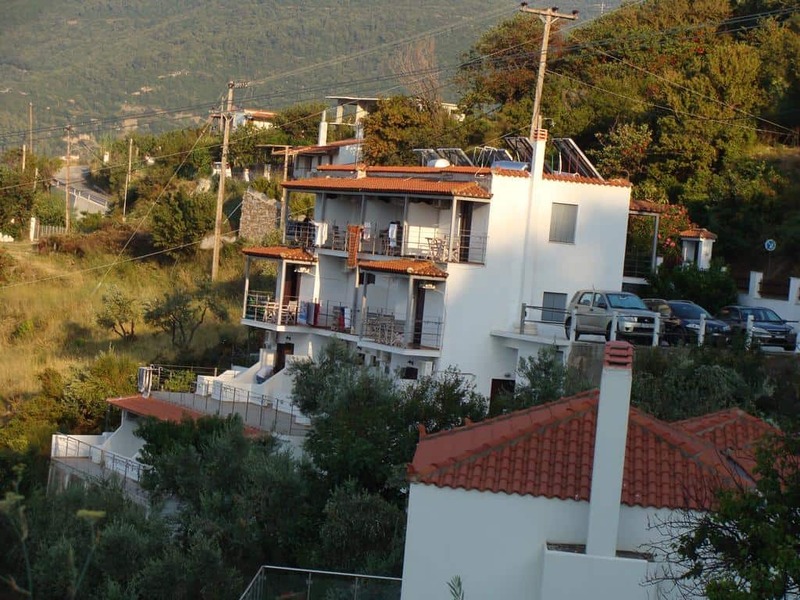 Some of these are the Folklore Museum of Skopelos, the Folklore Museum of Glossa, and Villa Vrakatsa. 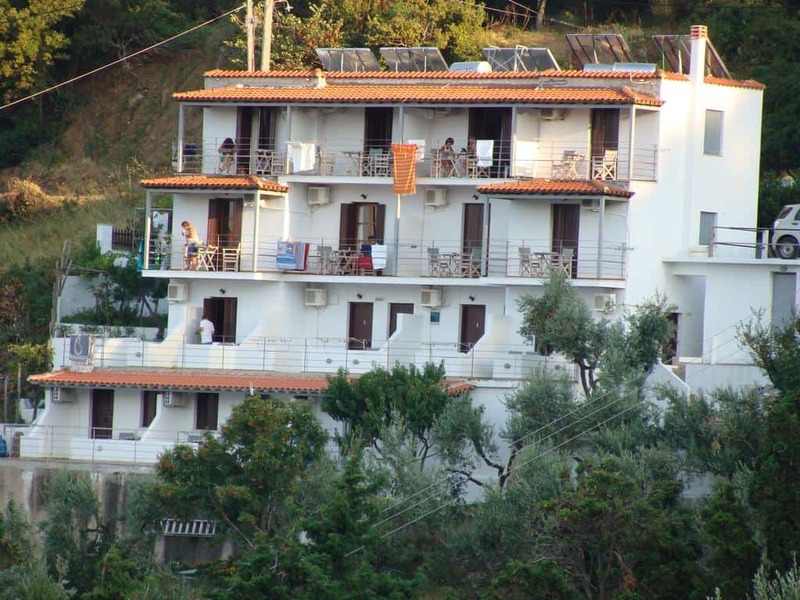 Of particular interest are also the monasteries of Skopelos. 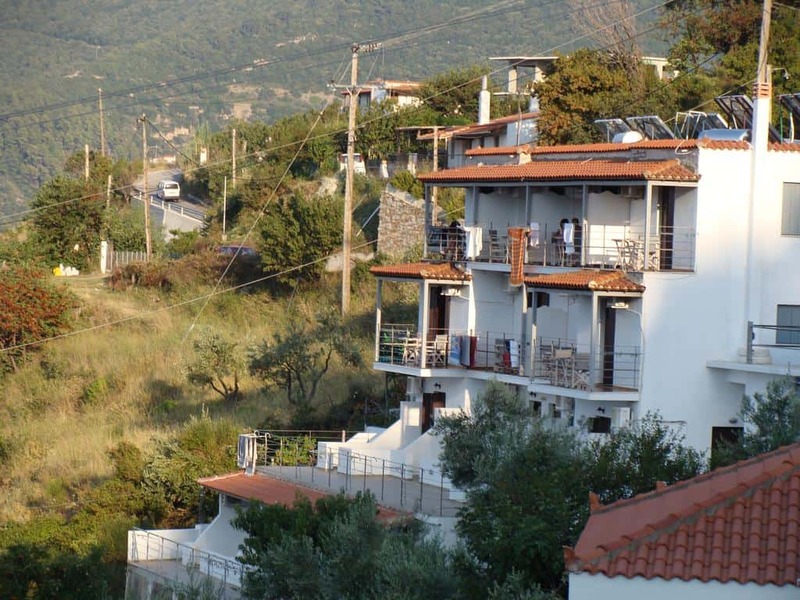 The village of Panormos can be found at 13 km, while the village of Stafylos at 5 km. 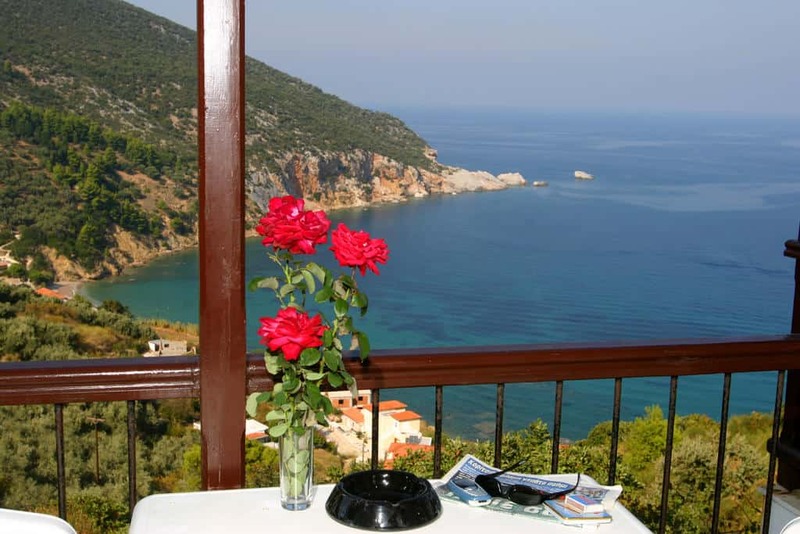 Agnontas beach is approximately 9 km away from the Sea View Studios. 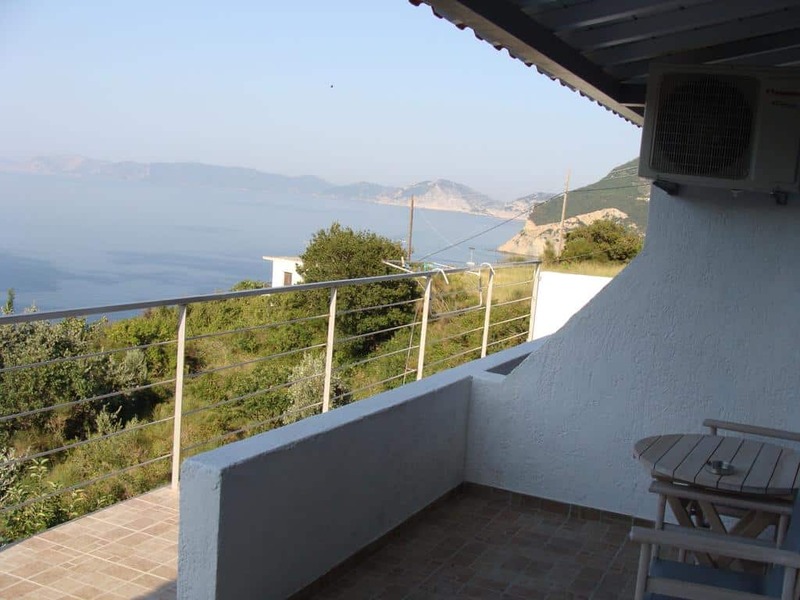 Milia and Kastani beach are about 15 km away from the property.